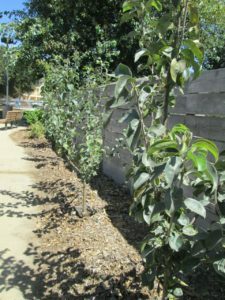 We had a training workshop today at the Riverside Gardens Park Public Fruit Tree Orchard with Andy Moskowitz of Seedculture.org and Steve Schnaar from the Fruit Tree Project. 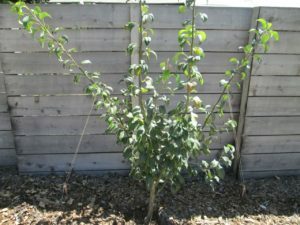 The pear and apple trees are growing nicely. 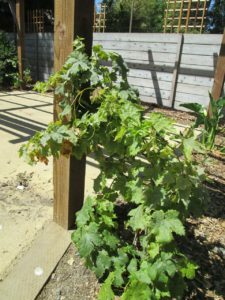 Andy trained a few trees with string and stakes in the ground. 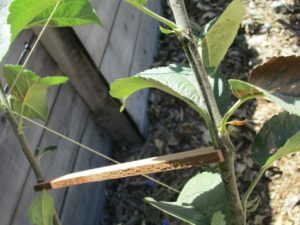 Others branches were propped wider with wood splints. We want air flow, light, and enough space between limbs. 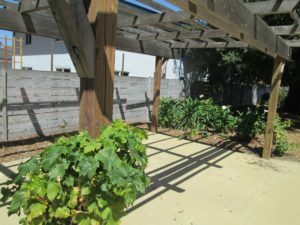 The grapes that we planted around the arbor are looking good. 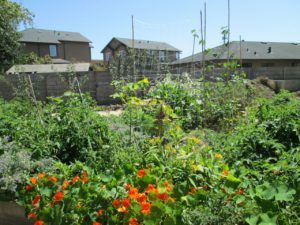 And the community garden beds are blooming and growing vegetables! 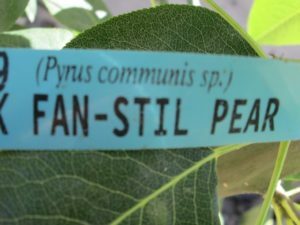 There are scarlett runner beans, corn, squash, basil, peas, flowers, tomatoes, peppers, and marigolds. Beautiful! 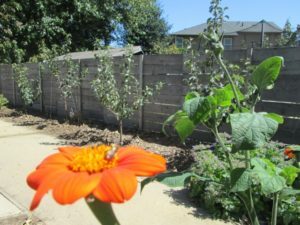 The pollinators are happy. The neighborhood bees (I wonder if they are from my hive?) are already enjoying this orange torch tithonia. 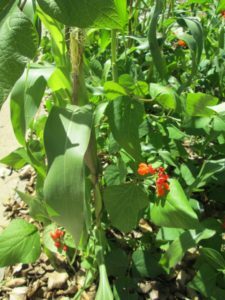 Scarlett runner beans grow up corn. 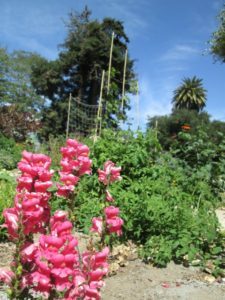 I love how the gardeners are planting so many flowers with their vegetables, especially my favorite; sweet peas, marigolds and snapdragons! 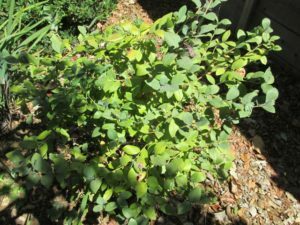 The blueberries I planted several years ago are doing pretty good, considering they are not getting quite the water they need…I come by every few months and give them acid based fertilizer. 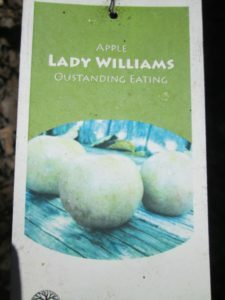 Here are two varieties of apples and pears we planted in the orchard. We are breaking ground on the expansion of the orchard next to Mike Fox Skate Park this winter. Stay tuned! 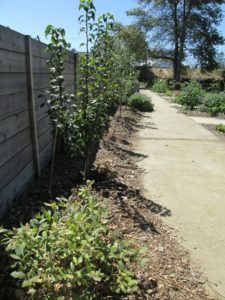 To read more about Riverside Gardens Park and our Public Fruit Tree Orchard, here are a few articles about our first year. 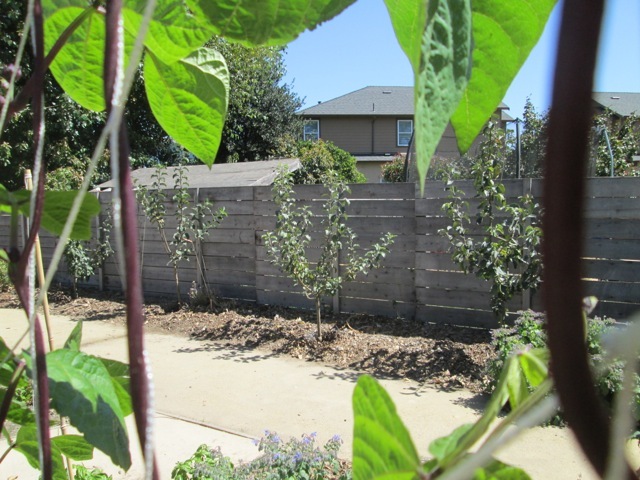 Just imagine this orchard in a decade…there will be so much fruit for all!